Works on hard and soft cover books! You're going to be studying a lot in college and reading a lot of books. It can be hard to keep track of your page in each book and you may have to put a book down to go to class or take a break from that subject. Keep track of where you are in your book with our BookSling in Cranberry! Our BookSling in Cranberry is a dorm essential for effective studying! The BookSling is a high quality elastic band that slips over your entire book. Regular book marks or pieces of paper can fall out and then you won't remember where you were in your book. You avoid that with our BookSling. The elastic band stretches 6.25-12" to fit most mid to large books. And yes, it will work on hard and soft cover books! 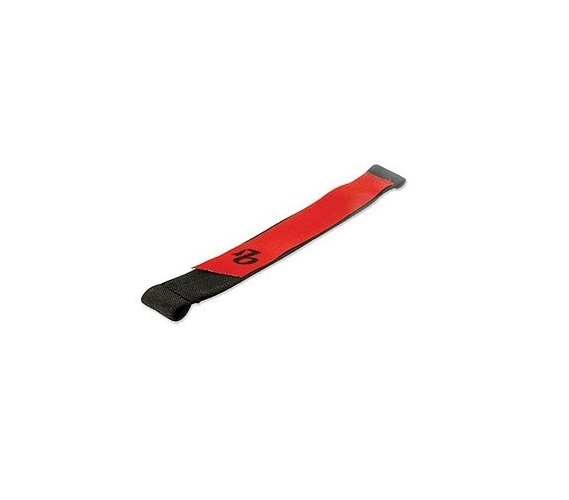 Attached to the elastic is a cranberry covered ribbon that you can also use as a bookmark. 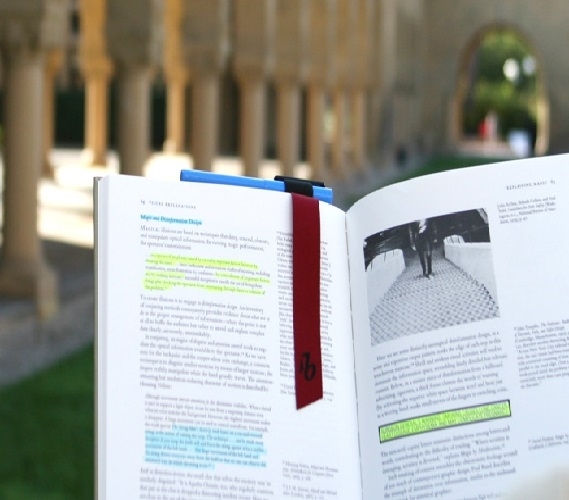 That allows you slip the large elastic band over the back cover of your book and use the ribbon as the bookmark, or you could slip the elastic over the book and use that as the bookmark and the ribbon as a placeholder for another important part. 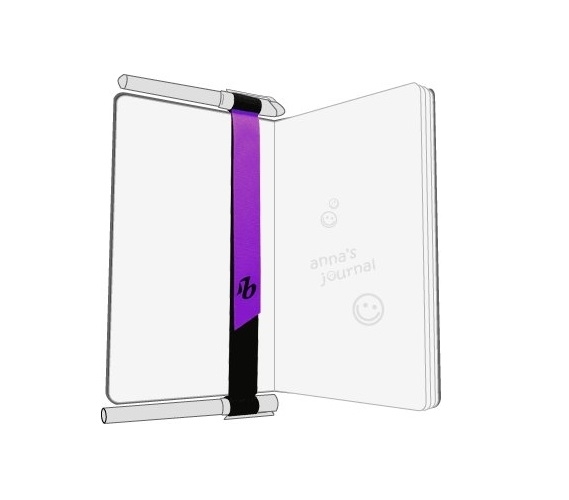 Or you could even slip the ribbon into where you need to stop reading for that class so that you don't have to look in your planner or notes again! 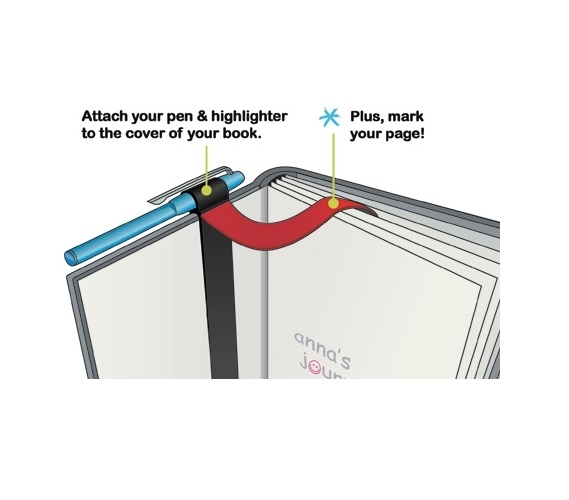 The BookSling also has two slip in spots for your pens or highlighters, making this a dorm studying essential you shouldn't go to college without!